This is a guest post from Brent Sasley, Associate Professor at the University of Texas at Arlington and chair of the ISA Online Media Caucus. Just a reminder that nominations for the Duckies (Online Achievement in International Studies) will close February 1, but we are still accepting nominations until then! Send nominations to onlinemediacaucus@gmail.com. Self-nominations are welcome. 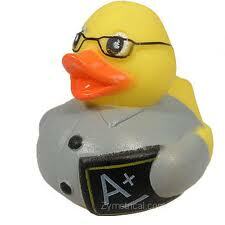 Please note that award nominees or their designated representatives MUST be present at the Duckies. The Duckies will be presented at a reception at the ISA convention in Toronto, hosted by the Online Media Caucus and sponsored by SAGE Publication, on Wednesday, March 27 at 7:30. If you have any questions, please contact 2018-19 OMC Chair Brent Sasley (bsasley@uta.edu).